This month marks the fifth anniversary of the My Life — In Concert! blog which I started over on Open Salon back on June 3, 2010. For the uninitiated, this blog is a gig-by-gig memoir of my life as an avid concertgoer, chronicling my unabated passion from Roxy Music in February 1975 through until my present day. While I am looking at these shows from my own personal lens, I am writing not just about the music but also the ticks, quirks and details of the larger Music Life experience surrounding these shows, artists or scenes. I also write of other music and media interests on my radar as well. The Open Salon site was an online experiment via its parent site Salon.com that had looked increasingly imperiled in recent years. In my 2012/secondary anniversary post I noted “it seemed as if OS was going to disappear” while my 2013/third anniversary entry noted that “the experiment that was Open Salon (might have) come to end.” However, things seemed to be looking up last year, as I wrote in my fourth year/2014 marker that “I actually feel more positive and upbeat” about the possibilities of OS sticking around after all. Sadly, the OS life support plug was pulled in March of this year. So much for optimism. With its closure went the key reciprocal access between myself and a reading base that had accrued through the years. The OS version of my blog truly was my Mothership, with this WordPress version more of a “In Case of Fire” entity. Well, it’s all burned down and, voila! I’ve been pondering over the last few months about whether to continue (part of why this annual post is a few weeks late) and I’ve decided I am going to keep going for a least a year to two and see if I can go it alone. So, for those still reading who have found your way over here from the deceased OS site, I send a Big Thank You! If you like what you’ve been reading, please pass the word around, subscribe to my blog, hire aerial skywriters to let others know, etc. Whatever turns your crank. In the meantime, I need to do ongoing visual repairs (many images were linked over to the OS site, hence why you’ll find lots of dead graphics in many posts for the moment) and a few final content transfers but fully intend to start publishing new entries this summer, picking up the concert-going thread with an, er, “eventful” excursion to see Siouxsie and the Banshees in Toronto in the summer of 1984. (I had also decided just before the demise of OS that I would primarily start focusing on the past … I still see so much live music in the here and now that it was taking up all my time whereas I would prefer to write about days of yore, especially with all the hindsight the passage of time affords). 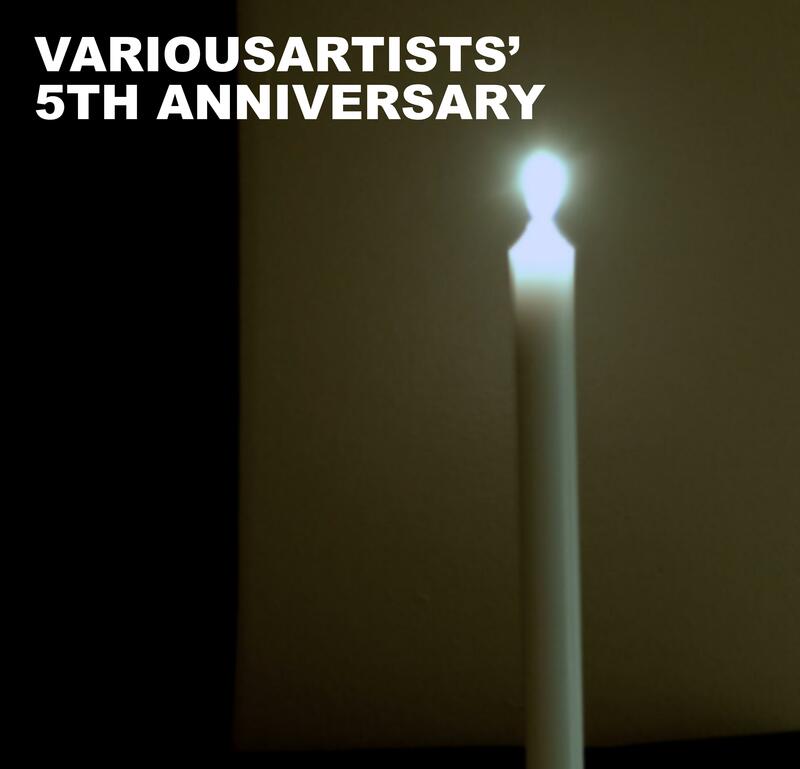 Every year I recreate the cover of a favourite album for my anniversary and this year it’s a “live-action” version of Gerhard Richter’s candle painting that graces the cover of Sonic Youth’s seminal Daydream Nation (an album I picked as one of my 15 Favourites). The blogging world is a bit of a daydream nation itself. I’m hoping I can keep surfing that daydreaming vibe on into Anniversary 6 next year. Upwards and onwards …. and wishing a great summer festival season to all! This entry was posted in 1950s, 1959, 1980s, 1988, 2015, alternative, anniversary, Canada, indie rock, jazz, Live, Memoir, open salon and tagged anniversary, blogiversary, dave brubeck quartet, daydream nation, fifth anniversary, five, Gerhard Richter, My Life -- In Concert!, open salon, sonic youth, take five, variousartists on June 19, 2015 by VariousArtists. Hi Samantha, thanks. If you go up to the top right of the page, just underneath the header banner, there is a place to put in your email and subscribe. I intend to get back in to publishing more regularly this summer. Cheers!